The consultant led team at The Cheshire Breast Clinic work together to provide a comprehensive and complete package of care to meet your specific needs. Working out of the Nuffield Health Grosvenor Hospital in Chester, The Cheshire Breast Clinic pairs expertise and experience with modern technologies and support to ensure that the service delivered is of the highest standard. Mr Khattak graduated from the University of Liverpool in 1999 and subsequently went on to complete his general surgical training in the North West of England. Additionally, he completed a period of postgraduate scientific research in cancer studies (specifically investigating cancer related protein expression and its clinical implication) for which he was awarded a Doctorate. He went on to further specialise in the management of both benign and malignant breast conditions, and developed advanced skills in oncoplastic and reconstructive breast surgery at one of the leading oncoplastic training units in the country. 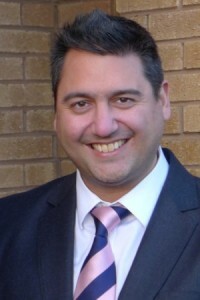 He now works in North Wales and continues to develop breast services incorporating modern surgical techniques and clinical advances promoting patient centred care. He holds rapid access diagnostic clinics for all breast complaints, as well as specialist out-patient clinics such as risk reduction, aesthetic and reconstruction clinics. All breast surgery is carefully planned and undertaken with the aim of achieving the best possible aesthetic outcome whilst attaining the primary therapeutic intent. Specialist consultation is carried out in a relaxed environment and Mr Khattak is happy to discuss any breast issue of concern to both women and men. Mr Khattak is enthusiastic about his work and enjoys teaching professionals and trainees alike. When not at work, Mr. Khattak spends time with his young family. He enjoys venturing out on long walks and exploring National Trust venues. 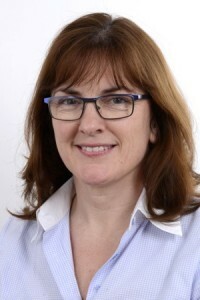 Mrs Claudia Harding-Mackean was appointed full-time Consultant General Surgeon in 2001 at Countess of Chester Hospital, specialising in breast cancer surgery and breast reconstruction. Since 2010, she has worked wholly in breast and thyroid surgery. She assesses and manages the full range of breast symptoms needing medical assessment and performs surgery for benign and malignant conditions. The major part of her surgical work is oncoplastic breast reconstruction. Mrs. Harding-Mackean has always maintained strong emphasis on clinical research in breast disease and has been involved in several clinical trials. She is continually involved in teaching medical students and surgeons in training as well as allied professionals. She has taught on regional and national educational programmes and has lectured in the UK and abroad about breast disease and breast screening. Mrs Harding-Mackean enjoys exploring the vineyards of the world, choral singing and musical theatre.